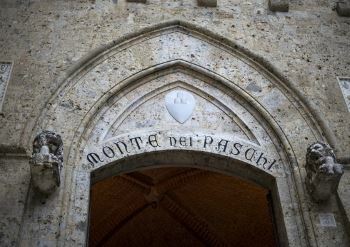 The European Central Bank (ECB) has postponed its new guidelines for banks because if it did not, the Italian banking system would simply collapse. The ECB has given Eurozone area banks more time to adapt to new guidelines on how to deal with bad loans. The deadline has been postponed from 2018 off into 2021. The new rules require banks to increase their capital for all loans, which are now classified as risk-taking. Bad loans are systemic in Europe as they increased after the 2007-2009 financial crisis. After almost 10 years of Quantitative Easing to help banks, nothing has been achieved. Because of the Quantitative Easing, Europe has become very aggressive in collecting taxes. That is deflationary and Southern Europe still suffers from joining the Euro as a whole. The Quantitative Easing has simply kept governments on life-support while failing to stimulate the economy. Mario Draghi moved to negative interest rates in an effort for force people to spend. Instead, the bought safes and withdrew cash from the banks. This latest move is once again trying desperately to keep the Eurozone afloat until Draghi ends his term next year. Then Draghi could care less what happens, for he will not be blamed if he can just get out the door before it all comes crashing down. « Will US Companies Repatriating Cash Home Create Banking Crisis Outside USA?